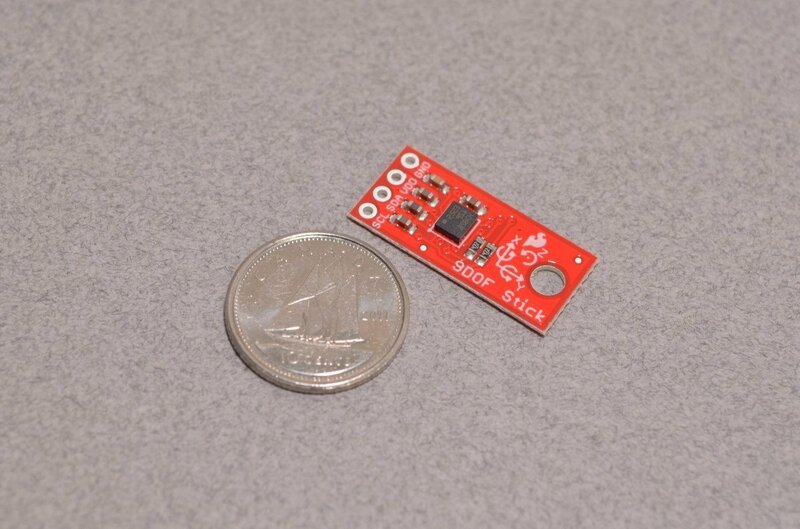 The SparkFun 9DoF Sensor Stick is an easy-to-use 9 Degrees of Freedom IMU. 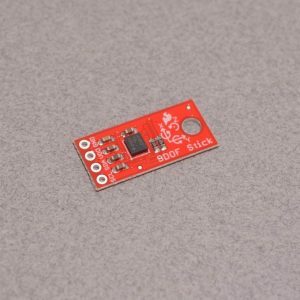 The Sensor Stick deftly utilizes the LSM9DS1 motion-sensing system-in-a-chip, the same IC used in the SparkFun 9DoF IMU Breakout. 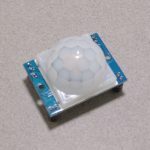 It houses a 3-axis accelerometer, 3-axis gyroscope, and 3-axis magnetometer – nine degrees of freedom (9DoF) in a single IC! 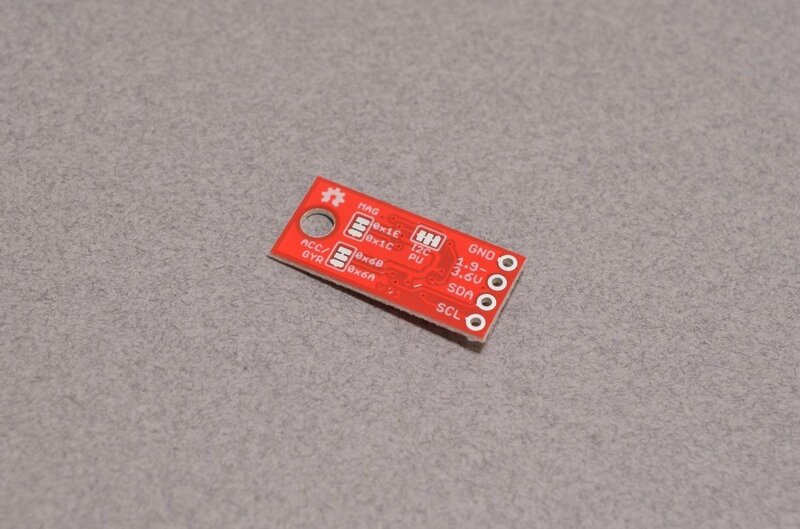 The onboard LSM9DS1 is equipped with a digital interface, but even that is flexible. 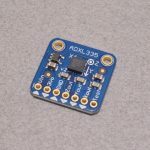 The biggest difference between the two boards, besides the slimmed down 0.9″x0.4″ footprint, is the number of broken-out pins, with the Sensor Stick featuring only four for quick setup and ease of use. 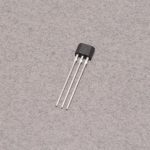 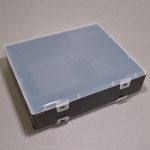 SKU: IMU-003. 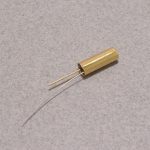 Categories: Accelerometers, Magnetic Sensors and Magnets, Motion. 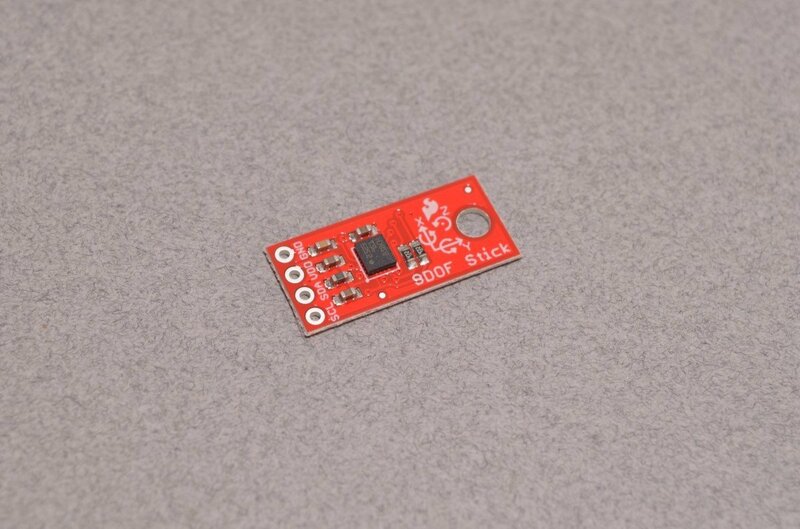 Tags: Accelerometer, Gyroscope, IMU, Light Packet, Magnetometer, Sensor, SparkFun.